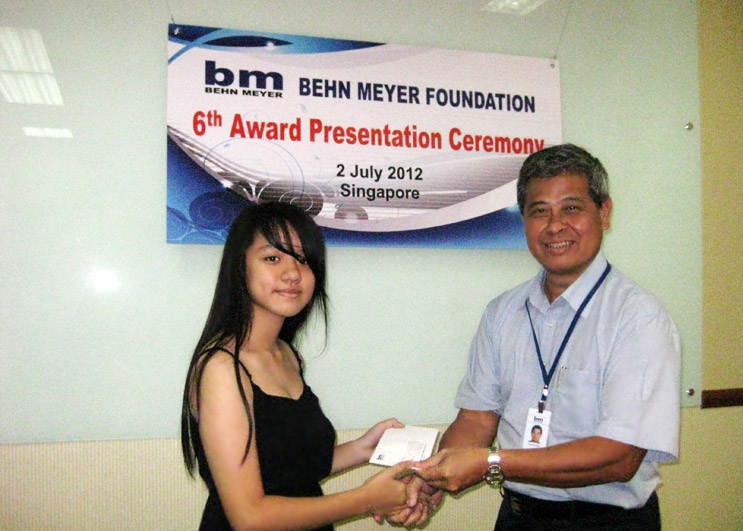 BM Foundation (BMF) Singapore held its 6th Award Presentation Ceremony on Monday, 2 July 2012 at the BM Singapore Conference Room. 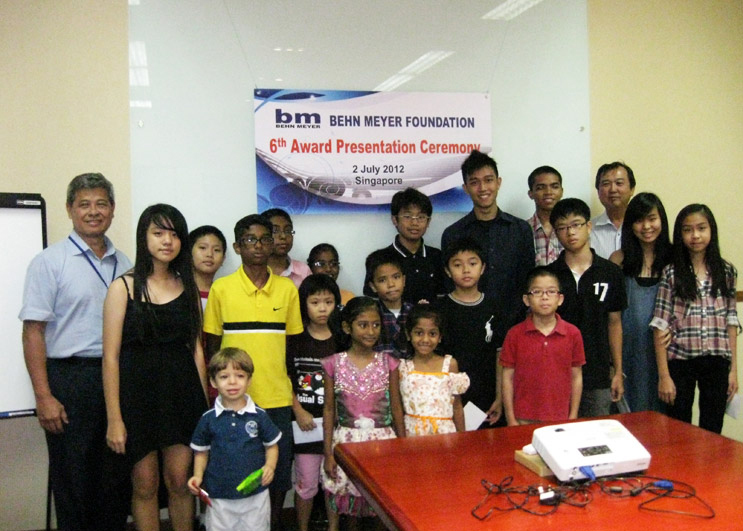 A total of 33 eligible children of BM Singapore employees received awards totaling S$14,400 with S$4,550 helping to support 13 primary school students, S$1,350 aiding 3 secondary students and the remaining S$8,500 going to 17 students in tertiary institutions and colleges. The awards were designed to assist the children with their educational expenses during the different stages of their studies from primary school through to tertiary levels. 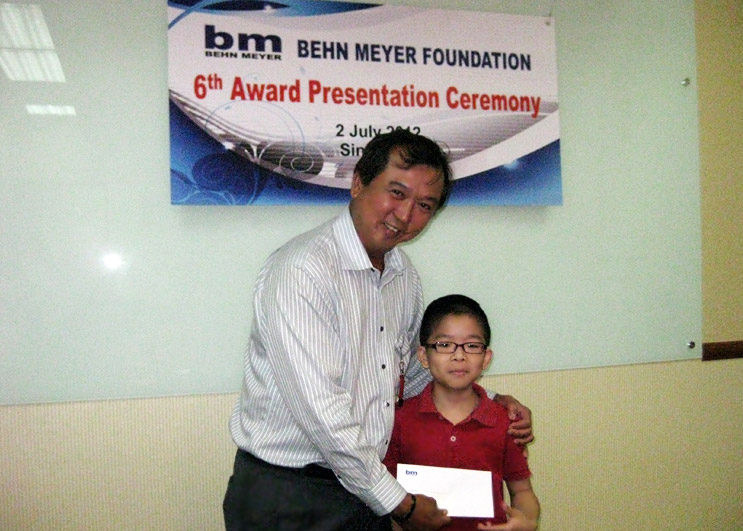 The presentation of the awards was made by BMF Singapore Trustees, Dr Tay Kin Bee of BMSC LLP and Mr Lawrence Loh, MD of BMIS. The ceremony coincided with the National Youth Day in Singapore which is a school holiday and the participants were therefore able to get together for snacks and refreshments.